Has anyone seen a loader like this before? Not a Waldon but similar and bigger. 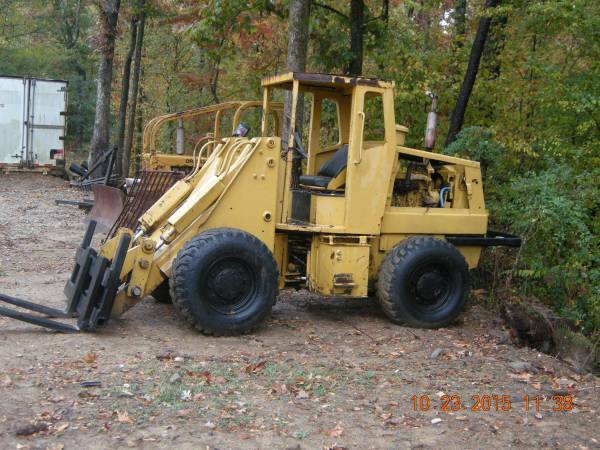 Has a Perkins diesel, hyd drive like a bobcat(no brakes) 4x4, owner thinks its a late 70's-early 80's model. 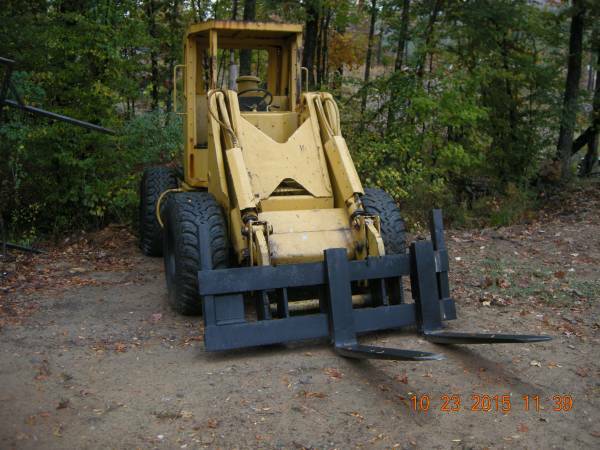 2000 LT40hyd remote 33hp Kubota, 160 Prentice, Frick 2 saw gang edger, Wright W-37 ABG, Suffolk dual tooth setter, Cat claw single tooth setter,'96 F-250 7.3 PSD 4x4, CS-590 Echo, MF 20c, M681 Memo. Over 2.5 million bdft sawn with a Baker Dominator and counting. I might add that the owner said that it will pick up a 3/4ton(5-7k) truck easy and he thinks it might weigh around 10k lbs with the foam filled tires that are on it. It looks kind of like an Omni. The construction details are different but the size and configuration are very similar to the Cat 910 loader I use. It's a great machine for a small sawmill operation. Bruce LT40HDG28 bandsaw with two 6' extensions. "Complex problems have simple, easy to understand wrong answers." Page created in 1.449 seconds with 39 queries.